If you’re looking for a skip hire, waste management or safety equipment company in the UK this is the ultimate list! We’re passionate about building an online community that shares resources and information. We personally review all the websites submitted to our list from businesses, making this a powerful peer-reviewed reference. Use the search box to find your favourite supplier. Baldwin’s are efficient, dedicated and consistently hardworking, offering the highest level of customer service and satisfaction together with the most cost effective prices available. An unbeatable service in West Yorkshire: 90% recycling – 100% passion. LSS Waste Management is a responsible, professional skip hire and waste management company regulated by the Environemnt Agency. We are committed to giving all our customers an unbeatable service at a very competitive price, we believe we can meet and exceed expectations. At Enterprise Skip Hire we’ve built our reputation on a friendly, reliable and competitive service. We believe that this is the only way to ensure both first-class standards and speedy, punctual delivery at competitive rates. We provide a wide range of skips suitable for all types of job, big or small. Here, at Enterprise Skip Hire, we provide a first-class skip hire service throughout Buckinghamshire. We have gained a stellar reputation in the area throughout the years thanks to our easy and friendly service. We believe that skip hire should be simple and hassle-free which is exactly what we provide to our customers and have been providing for over 25 years. As a household name throughout Read More Buckinghamshire, we not only offer a reliable and impeccable skip hire service, including same day skip hire the majority of the time, but also renowned customer service. Hammond Skip Hire Ltd has a wide range of skips available providing our customers with a reliable and efficient service, whether it’s a small job or a large new build. Hammond Skip Hire Ltd play a major role in recycling and helping the environment. We recycle a large amount of materials, see if we can help. If you want a hassle-free waste collection service, get in touch with us. We offer friendly and professional skip hire at competitive prices. We are a family run business offering waste removal at highly affordable prices. We pride ourselves on the quality of the service that we provide. We also offer grab lorry hire for muck away services in Wimborne and areas that fall within a 30-mile radius. No job is too big or too small for us. Do not hesitate to call us for your domestic or commercial waste collection requirements. 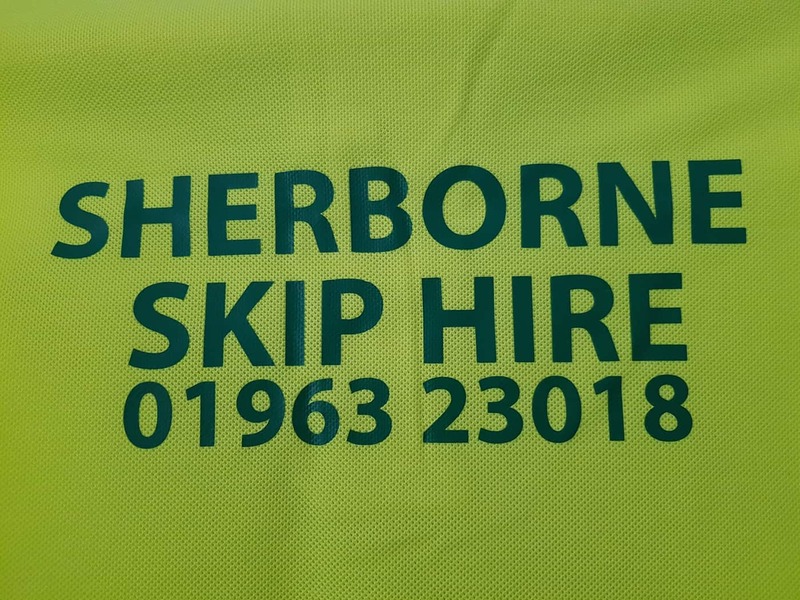 We are a leading skip hire company operating throughout the Glastonbury, Shepton Mallet, Wells, Street and Somerset area. Call now for a FREE no obligation skip hire quotation. ISL are proud to offer leading skip hire service in the Birmingham area, we offer skips from mini to jumbo 14 cu yd Skips. We treat our Skip hire service with the same ethos as the rest of our business: The customer and the environment are always at the forefront of every decision we make! 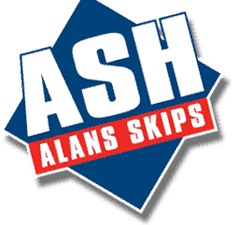 Whether you are renovating your house, clearing out the garage, doing the garden or whatever else you may need a skip for, Alan’s Skips is the only place you need to visit for great prices and reliable service! Hamilton Waste & Recycling Ltd is a proud family owned company that has operated since 2002. Hamilton Waste & Recycling Ltd is one of the largest, independent skip hire and commercial waste management companies in Scotland with a full range of environmental and recycling services. WE ARE A WASTE MANAGEMENT COMPANY DEDICATED TO ADVANCED AND SUSTAINABLE SOLUTIONS. We offer a complete range of waste management services for your business, from skip hire and mobile compactor hire to waste clearance, fly tip clearance and hazardous waste. Address: Orion House, Cody Dock, South Crescent, London, E16 4TL. DP SKIP HIRE LTD is a well established company for over 25 years. We cover all of staffordshire and south cheshire. We provide services to the public and the commercial sector. 90% of our waste is recycled. 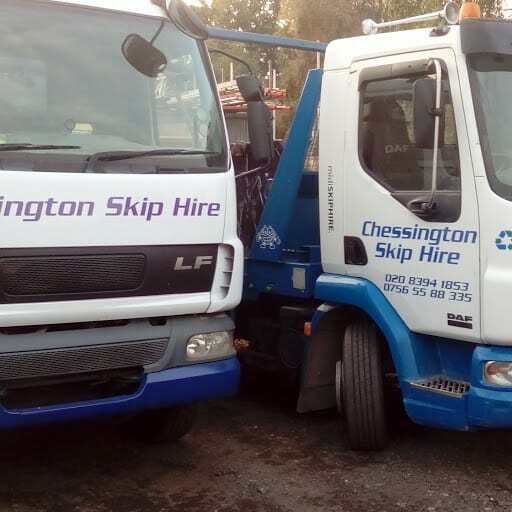 Chessington Skip Hire is a local, family run business with over 30 years’ experience in the industry. We offer affordable, reliable skip hire in all KT post codes and surrounding areas. The one stop company for all your waste removal needs any where there’s rubbish we Can help!! Family run mini/midi and 4 yard skip hire company established in 2009 as part of the Dorset ENVIRONMENTAL Solutions group. Do You Have a Business and Want More Exposure? If you would like to be added to our list of businesses, please send your details through and join our database for free! Want To Contact These Businesses? If you’ve got a great offer for these businesses please complete the form below and we’ll pass on your offer to them!